Truly extraordinary Beacon Place is low maintenance living in downtown east Lake Forest. Step outside of this remarkable home and you are in the heart of town. Sunlight fills this beautiful home built in 2018 by Taris Real Estate & designed by architect Austin DePree of Northworks. Find perfect balance as you enter this residence w/ 9' to 10' ceilings, hardwood flooring, sophisticated millwork throughout, an elevator servicing all 4 finished floors, & 3 masonry fireplaces. 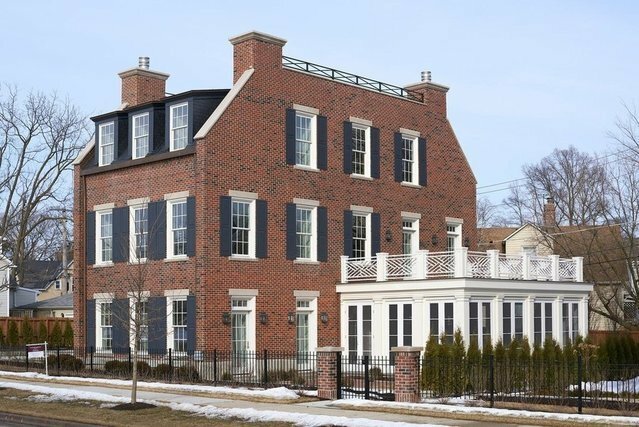 The handsome brick facade is inspired by classic architecture. The refined kitchen features Wolf/Subzero/Miele appliances, Quartz, milled custom cabinetry & a sunny balcony. Enjoy entertaining in the expansive screened porch or gorgeous rooftop terrace overlooking town. Craig Bergman designed the grounds w/ a lovely courtyard & private brick patio. Attached 2 car garage plus guest parking on the premises. Steps to Market Square, restaurants, shopping and train. Beacon Place is the lifestyle you've been waiting for!